Reduce the costs and complexity of network security monitoring and management. IT security management, monitoring and support for your IT security infrastructure, including end user devices, servers, network, firewalls, and other security devices. Lewan provides complete IT coverage while reducing costs, increasing compliance and mitigating business risks. We can be your complete Security Operations Center (SOC) or work as a seamless extension of your current IT department. Audit-ready reports to reduce the costs and headaches of preparing for compliance audits. A security platform under direct FFIEC (Federal Financial Institutions Examination Council) oversight. Security Information and Event Management (SIEM) Intelligence and advanced detection techniques to prevent attacks that are difficult to detect. Correlation of security events across our entire customer base, which enables us to react to emerging threats quickly and intuitively. Our managed network security service experts monitor your firewalls 24x7 and handle time-consuming updates and patches. Firewalls should always be the first line of defense in protecting your network from malicious threats. However, firewall and network management can be challenging, time-consuming, and expensive. We provide a 24x7 SOC that clients can leverage in addition to our managed services Network Operations Center (NOC). These services can be utilized separately or together based on your needs. Our team of network monitoring services experts handles tedious updates, configurations and patches, saving you time and money. We also monitor your network 24x7, eliminating the need to staff an internal security team around the clock. Advanced reporting provides real-time insight into firewall activity and our unparalleled compliance expertise reduces the costs and headaches associated with meeting regulatory compliance and network security concerns. Lewan can help develop a customized security framework that is specific and sustainable for your organization. 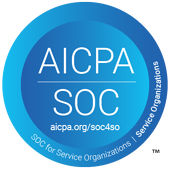 We have the policies, procedures and guidelines in place to allow us to meet an industry standard called SOC2 Type II. This is a tough standard to reach and it’s why most of our competitors have not tried to meet it. Daily IT security tasks that expend valuable time and resources. Inconsistent and delayed response to security incidents. Difficulty keeping up with software patches and updates. Lack of security skill set in the industry or time to properly monitor security equipment. With ALWAYS ON, rely on included 24x7 support no matter what happens in your IT Security environment. ALWAYS ON includes proactive monitoring and management of your infrastructure. We function as your Security Operations Center, supporting your business in addressing IT risk, taking the burden off your internal team. SUPPLEMENTAL PLUS provides assistance to your internal IT team by having your systems monitored 24X7, responding to security alerts daily, providing triage and alert validation prior to engaging you to determine if you would like to handle the resolution or if you’d like us to continue with the resolution. SUPPLEMENTAL is much like SUPPLEMENTAL PLUS with the exception that your internal IT team serves as the “front line”, receiving technology alerts with access to our experts to help troubleshoot issues.